and a faithful and enthusiastic participant in Service Boot Camp! "...Parents have a sacred duty to rear their children in love and righteousness, to provide for their physical and spiritual needs, to teach them to love and serve one another...."
A few years ago, our family was going through a rough time financially. My husband was laid-off of his job in October of 2008, then hired back on with the understanding that his job would end on December 31, 2008. What little savings we had vanished quickly, helping us pay our bills and buy food for our family to eat. Although it was a scary time for us, it was also a time when we were blessed beyond measure. Food showed up on our doorstep, we were given money by an anonymous donor to help buy Christmas gifts for our kids, and we had 'Secret Santas' (2 separate ones) that left boxes of gifts and food on our doorstep. The service that was rendered to our family during this time was amazing! And we were so grateful! We wanted to do something for all of the angels that helped our family, but they wished to remain anonymous. After the holidays, we decided that we were going to focus on service as a family. What better way to show our thanks than to "pass it on"?! We did at least one act of service each month for someone in our ward or community, and tried to do acts of service daily in our little family. There was such a great spirit in our home! The kids argued less, and we just enjoyed each other more. As I sang that song, I felt the Spirit so strongly!! This was exactly what we had experienced, and what we were trying to do as a family. When we got home from church, I shared my feelings with my family, and we decided that "Scatter Sunshine" was going to be our family motto. We were going to do our best to "cheer and bless and brighten" the lives of those around us by serving them however we could. My kids have gotten used to me saying "Scatter Sunshine!" whenever they leave home. We've found that when we're focused on serving others rather than our own wants or needs, we are happier and seem to have a better spirit in our home. And to brighten your day, I'm going to share my file with all of you!! Just right click on the image and save to your computer! (for personal use only, please!). I have a testimony of service. I'm thankful for those that have rendered service to me and my family, and I'm grateful for the opportunity I have to teach my children to serve others. I hope we can all try a little harder to "Scatter Sunshine" in our homes and communities!! 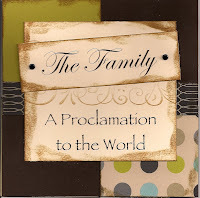 Add your Family Proclamation-inspired CRAFTS to this week's LINK-UP PARTY for a chance to win the following PRIZES! And read about more sunshine moments over at Chocolate On My Cranium! I will announce the winners of the following prizes on Sunday! Description: "Para Siempre", means "Forever". The font is made exclusively of LDS temple parts. This print can be personalized with your family name and established/sealing date." It includes words from the entire Proclamation...You just insert your own family photos! This item helps you countdown 31 days until a birthday. Lettering is customizable. I just found your blog and I'm so excited to try some of the ideas with my family. I was wondering if there is any more need for the journals. I try and do a service project each month with my kids and I thought this would be a good one. 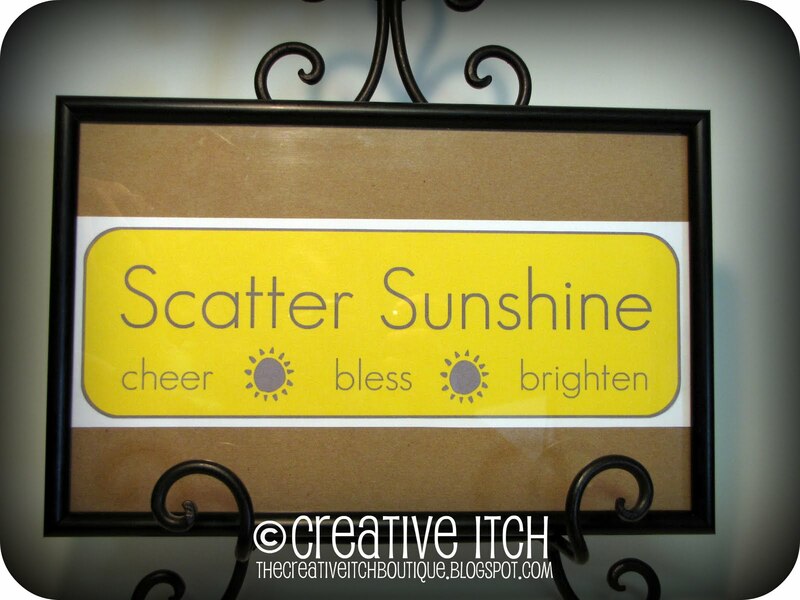 Scatter sunshine!! I love it! Thanks for sharing some sunshine today! What a beautiful song and story! Thanks for sharing Misty! I love this post. My husband and I went through a similar experience in 08 and had so many kind acts of service especially around Christmas! Thanks for sharing, I love that song!! That is so great!!! When my twins were little and I was by myself with them a lot, I would often sing that song to them as I fed them breakfast or got them dressed or whatever; mostly as a reminder to me to stay up and not get trapped in my own life. Now that situations have changed and I find myself trapped in my own life, you've reminded me how to get out of the trap! Thank you!!! What a great family motto. ow sweet to share with us all, thanks! what a set of incredible you've given us, including the family theme freebie. how wise you are as a mom. as a family we were never rich in money, but so wealthy in all the other ways of our lives. And there were times when I felt poor, but I had a sweet step dad who reminded me where the wealth really lay. Thank you! I have been enjoying your blog recently with everything centered on the family. There have been some awesome post. Thanks for doing this; it has been very uplifting to me. The post today was great. I think I will work on scattering some Sunshine. I'll never think of Scatter Sunshine the same way again. What a great family motto. I totally agree, Lara! I'm seeing that hymn in a whole new light now! This is so great! I love your post! My family had situations like that growing up. It was amazing how people knew of our situation and just provided what they could without us knowing who. I still wonder who it was. I guess it really was just the Lord providing our needs. I love your sign! It is so clever!